The number of communes recognised as new-style rural areas reached 4,144 as of the end of February, up 306 from the end of 2018, according to the central steering office of the new-style rural area building programme. The national target programme on new-style rural area building, initiated by the Government in 2010, sets 20 criteria aiming to boost comprehensive development of rural areas across Vietnam. Communes nationwide have met 14.61 criteria on average. So far, three localities have had 100 percent of their communes meeting all criteria, namely Nam Dinh province (193 communes), Dong Nai province (133 communes), and Da Nang city (11 communes). Meanwhile, 61 district-level localities in 31 provinces and centrally-run cities have been recognised as having completed the programme. 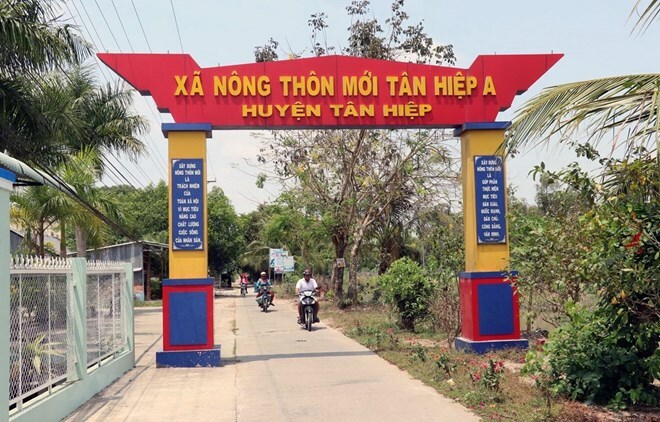 Nguyen Minh Tien, Chief of the central steering office, said with the current progress, the country is likely to achieve the programme’s target for 2016-2020, which is at least 50 percent of all communes obtaining the new-style rural area status, by the end of this year’s second quarter. However, there is a gap in the programme implementation among different regions, he noted, elaborating that the rate of new-style rural communes reaches 81.37 percent in the Red River Delta and 69.33 percent in the southeastern region. Meanwhile, it is only 22.72 percent in the northern mountainous region, 33.72 percent in the Central Highlands, 36.91 percent in the Mekong Delta, and 42.79 percent in the south central coastal region. While some localities like Ho Chi Minh City and Binh Duong, Ha Nam, and Thai Binh provinces have almost completed building new-style rural areas and are beginning the advanced stage of the programme, some others have very low rates of recognised communes such as Son La, Dien Bien, Bac Kan, Cao Bang, and Kon Tum provinces.